Download our free and fully searchable index of Birdwatch articles, photos, features and stories since 2001. This index is updated quarterly. Please click here or on the image below to access the index of articles as a PDF. 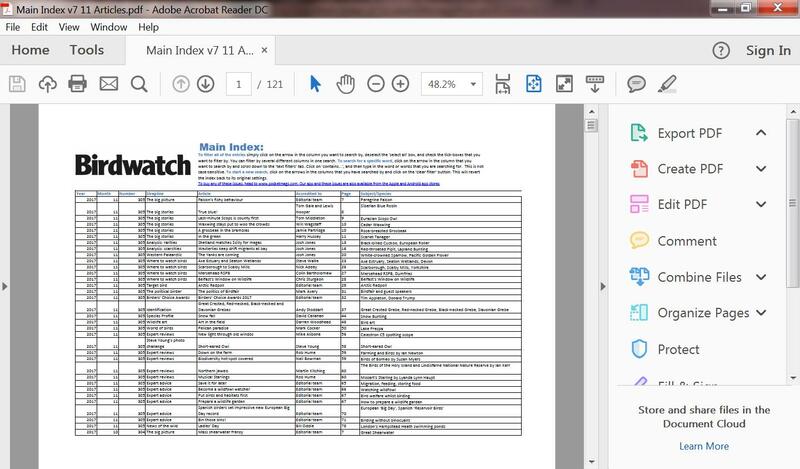 An editable version of the full index (which also lists photos) in spreadsheet format is also available; you will need Excel 2007 or a similar program (the free Google Sheets, for example). Click here to download your copy.